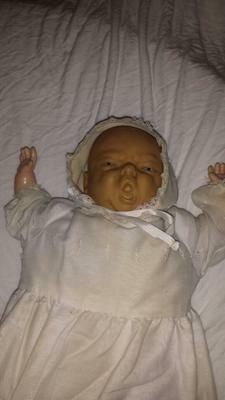 I inherited this squalling baby doll from my grandmother. I know for sure that she was the only owner. Am Assuming the doll was purchased in New York where she grew up. 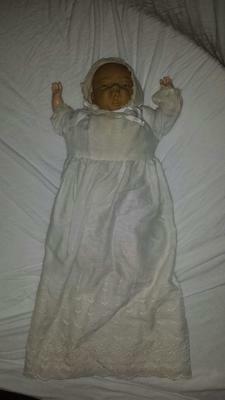 She kept it in a vintage doll stroller with a blanket over it's lap for as long as I can remember. Curiosity over the dolls origin due to its very unique appearance led me here to this site. I know that this particular doll was special to my grandmother and I would like to see it find a home with someone who will appreciate it the way she did. Happy to sell for a very fair price. Please email me if interested. Join in and write your own page! It's easy to do. How? Simply click here to return to Early Vinyl Dolls.